You truly never know what's going to happen at the Grammy Awards. 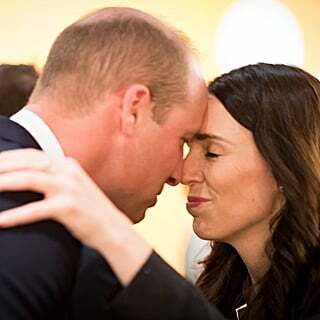 At the 2019 show, the night kicked off with Michelle Obama making an appearance, and the amazing moments just keep coming. 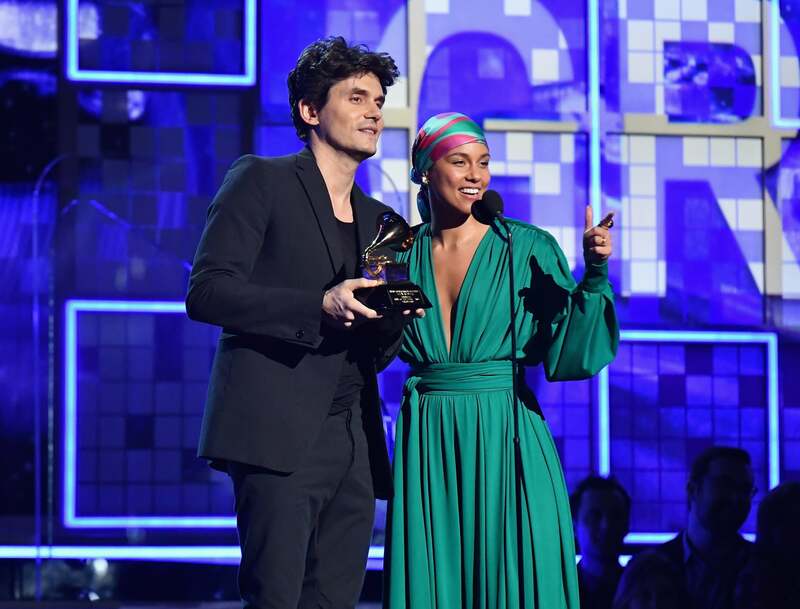 When host Alicia Keys and John Mayer joined up on stage to present the award for song of the year, Alicia shared a story about John from many years ago. While a flashback video from the 2005 ceremony played behind her, Alicia reminisced about feeling so sure she was going to win the award for song of the year but ultimately lost out to John. Alicia was nominated for "If I Ain't Got You" and John for "Daughters." While John officially won the Grammy that night, he quickly said he felt Alicia deserved the award and wanted to at least share it with her. Kacey Musgraves Illuminates the Grammys Stage With Her Beautiful Performance of "Rainbow"
So he literally broke the award in half and wrote Alicia's name and song name on her part of it. Alicia took home the top half and John took home the bottom and they brought them back for the 2019 show to unite the pieces for "one night only" as John said. Alicia even calls her half her "Ammy" since it isn't a full Grammy! And while it's not like Alicia is hurting for Grammy wins — she has 15 — John's gesture was still pretty sweet. He officially has eight Grammy wins, though only seven and a half trophies. Check out the video from this year's ceremony below.